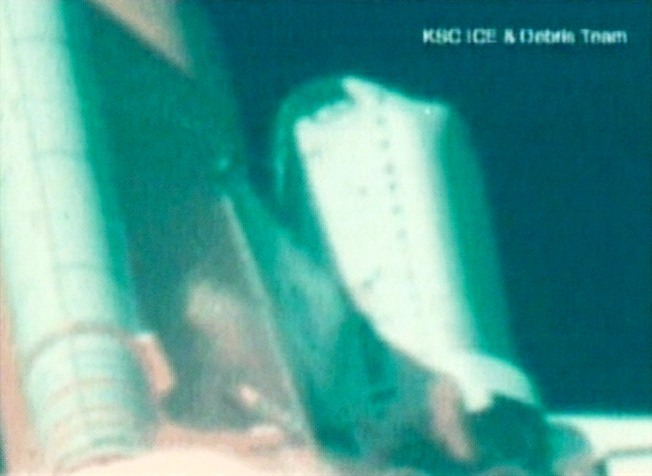 This image from a NASA handout video shows a close up of a piece of debris falling from the external tank, then striking the left wing of the Space Shuttle Columbia during launch on January 16, 2003. 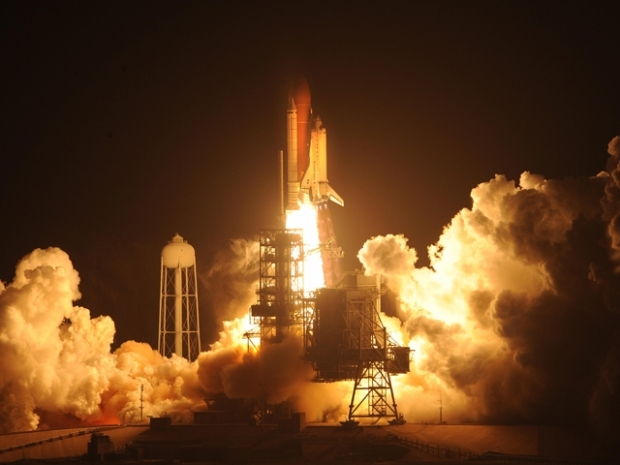 NASA Mission Control lost contact with the Space Shuttle Columbia during reentry on February 1, 2003 and later learned that the shuttle had broken up. WASHINGTON -- Seat restraints, pressure suits and helmets of the doomed crew of the space shuttle Columbia didn't work well, leading to "lethal trauma" as the out-of-control ship lost pressure and broke apart, killing all seven astronauts, a new NASA report says. A timeline of what was happening in crew compartment shows that the first loud master alarm -- from a failure in control jets -- would have rung at least four seconds before the shuttle went out of control. Twenty-six seconds later either Husband or McCool -- in the upper deck with two other astronauts -- "was conscious and able to respond to events that were occurring on board."